Heraldic Shields/Wall Plaques can be produced for any sports club and can be used for many different purposes. Common areas include Football Clubs, Rugby Clubs, Golf Clubs, Bowling Clubs, Cricket Clubs, Rowing Club, Tennis Clubs, Swimming Clubs, Badminton Clubs and many more! Every sports club requires a trophy or a medal of some sort on a regular basis to award an individual or a group of people on a special achievement, such as for example, Winners-Oxford Rowing Club 2007, Runners up-Cambridge Rowing Club 2007, any such text can be displayed on the scroll(s) of the Heraldic Shield/Wall Plaque, the centre-piece in most cases displaying the club badge/logo or coat of arms. 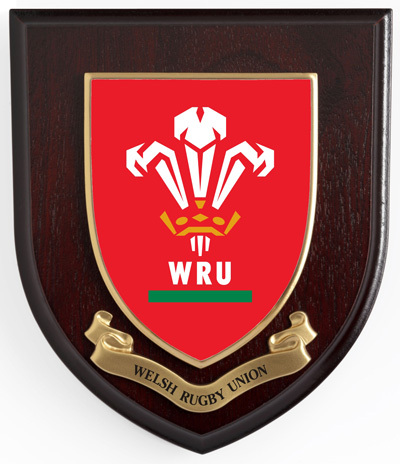 Many sports clubs also go on tour every year meeting up with other sports clubs, this is very common indeed with rugby clubs, whom many find Rowan Heraldic Shields/Wall Plaques the perfect promotional solution, taking them along to use as gifts/awards/trophies or mementos to promote their club around the world!